This entry was posted in Research tangents, Tolkien in the First World War and tagged Biography, Christopher Luke Wiseman, First World War, Geoffrey Bache Smith, King Edward's School, Robert Quilter Gilson, TCBS, Tolkien's friends, Tolkien's life. Bookmark the permalink. A very cool post from Tolkienist John Garth for today’s Feature Friday! Here is an excellent post by John Garth — I’m serving as his preceptor for a course called “Tolkien’s Wars and Middle-earth” at Signum University this semester. Do check out his work, especially his amazing book “Tolkien and the Great War”! Thank you for this! I wonder if Smith and Gilson’s “enthusiasm for that extraordinary century” inform in a new way the Augustan qualities and interactions attended to by Clive Tolley’s “Tolkien’s „Essay on Man“: A look at Mythopoeia”, Inklings Jahrbuch 10 (1992)? And, for that matter, a strand in the friendships with Johnsonian Jack and Saint-Simonian Warnie Lewis? Thanks for your various comments, David. It’s very difficult to say how far Smith and Gilson managed to draw Tolkien into their enthusiasm for the 18th century, or whether the effect was lasting. Clearly the era has not been a primary focus for Tolkienian research. I don’t know Tolley’s paper, but I’ll certainly look it up and ponder your question. I just caught up with the fact, from his online CV at the University of Turku, that he later published a “Revised and corrected edition in The Chesterton Review: The Journal of the Chesterton Society 28 (2002):79–95”. Thank you for your thought-provoking comments, David. There are other factors that make this inquiry seem initially promising. As I’ve noted in a previous blog post, the facsimile title page for ‘The Notion Club Papers’ is dated 2014 – a century after Middle-earth was born in the 1914 poem ‘The Voyage of Éarendel the Evening Star’; and Lowdham, the surname of the character who echoes Tolkien’s own memory of first encountering the Old English name Éarendel, is also the name of a village very close to Gedling, where that poem was written. So much, I think, suggests deliberate (albeit private) signposting of the 1914 poem. Then, too, there is the fact that ‘The Notion Club Papers’ included, at one stage, references to real members of the Inklings, which makes a reference to an Apolaustick seem feasible. However, I can make nothing of the further points you’ve raised. Every date in ‘The Notion Club Papers’ is in error, as Tom Hillman noted in a recent blog post. The story says the meetings were held on Thursdays, but the relevant dates for the real 1987 fell on Fridays. Did Tolkien even use a calendar? He could easily have begun with an arbitrary date, 20 February (for the night he first described, Night 60), and calculated the rest without recourse to a calendar. Yes, I suspect he was rather casual in his dates in this instance – writing, as he was, what constitutes draft material, probably in rather a rush in 1945 and 1946, while conscious that he ought to be working on The Lord of the Rings. When in manuscript C he added an earlier meeting (Night 54), and called it 16 November 1986, he was even further out of his reckoning: that date actually fell on a Saturday. So even if we forget about 1986 and 1987, there’s no way (short of an intervening calendar reform) that this fictional November date can be reconciled with those in the following fictional year. I think Tom is probably right to guess that Thursday was picked for the meetings because that’s the night the Inklings met in C S Lewis’s rooms at Magdalen College. But the fact that 24 September 1914 was also a Thursday seems likely to be a coincidence. If Tolkien wasn’t using a perpetual calendar to establish the correct dates for 1987, it stands to reason that he wouldn’t be using one to check a weekday for 1914 (a detail I very much doubt he’d remember it 30-odd years later). Given what I see as other, deliberate pointers to the 1914 Éarendel poem, it’s feasible that Tolkien did want the momentous events of Night 69 to fall on the anniversary, but when he came to it discovered that his scheme of ‘1987’ dates wouldn’t allow it, so chose the nearest Thursday, 25 September. Or it’s possible – just – that in this Inklings-inspired story he wanted to commemorate the last meeting of the T.C.B.S. 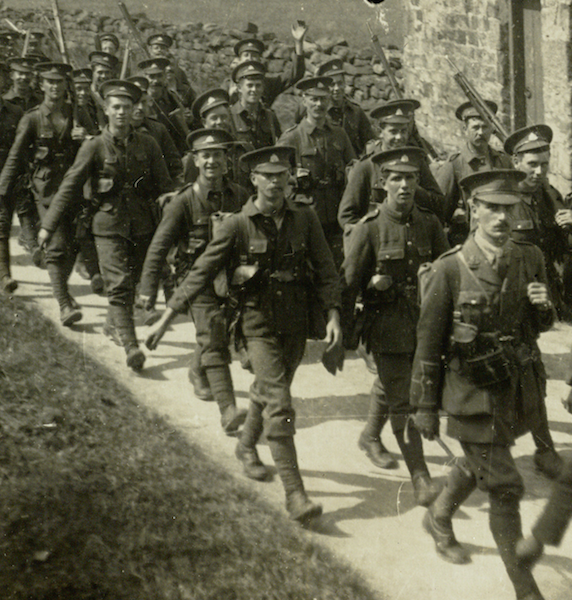 on 25 September 1915, a date that the Battle of Loos may have helped imprint on his memory. In which case the mismatch of weekday need not have mattered to him. As for Osric Staples, we can be sure that in his youth Tolkien was struck by his distinctively Anglo-Saxon name (not to mention their shared South African birth). But we can’t be sure he knew the date of Staples’ death: I’m aware of no evidence that he stayed in touch with any of his friends from Exeter College undergraduate days, apart from Allen Barnett, the American Apolaustick. The name Oswin recurs from ‘The Lost Road’ and was part of Tolkien’s sequence Oswin – Alboin – Audoin: god-friend, elf-friend, bliss-friend: all significant names in reference to key aspects of the legendarium. I don’t think we need refer either to St Oswin of Deira or beyond him, via his father Oswin, to Osric Staples. Another Exeter contemporary was Trevor Oliphant, but we don’t need him to account for Tolkien’s interest in oliphaunts. Thank you for such a detailed, informative, and thoughtful response! Something interesting about Night 54 is that it fits 1944 – could that be any kind of evidence as to when he was working on one or another draft – C itself, or something earlier? The reference to Williams’s play, The House of the Octopus, in A and B must have been meant as a bit of teasing Williams could hear. And I suppose it’s omission in D (and, I take it, C) would follow his sudden, unexpected death. The “second typescript”, if not made by Tolkien, might conceivably been made by Williams’s friend, Margaret Douglas, about whom Tolkien writes to Christopher on 30 September 1944 as “typing Ring” (Letter 82). (Unfortunately, I don’t know anything by heart about the composition and publishing history of The House of the Octopus, and what notes I have will take some ‘archive archaeology’ to consult. But perhaps Grevel Lindop’s biography will set out a lot, when it appears on 29 October!) For what it is worth, the ‘content’ of night 54 reminds me a bit of 30 November 1939 as reported to Warnie by C.S. Lewis on 3 December. Nights 60 and 61 fit 1936, 1941, and 1947, and Nights 62-70 fit 1924, 1941, 1947, and 1952. While Wormald and Borrow concluding in 2014 that they “were written sixty years ago, or more” and Green adding, “The forward dating might have been adopted as an additional screen” move me to look to the 1940s, it is not obvious to me that any of these ‘fits’ for days and dates mean anything – 1941 being, I presume, too early for any of the drafting, and 1947 late, even for F. Oops! : Thursday, 25 September 1925! I just noticed that the annotation in the collected letters to letter no. 5 gives the month of the last meeting of the TCBS as December. I suppose that’s an error, and should be September? That reference is to a meeting on the weekend of 12–13 December 1914, at the home of Christopher Wiseman’s family in Wandsworth, London – “the Council of London”, as the T.C.B.S. members called it. At that point, Smith and Gilson had only just been commissioned as army officers, while Tolkien and Wiseman were still completing their undergraduate courses. 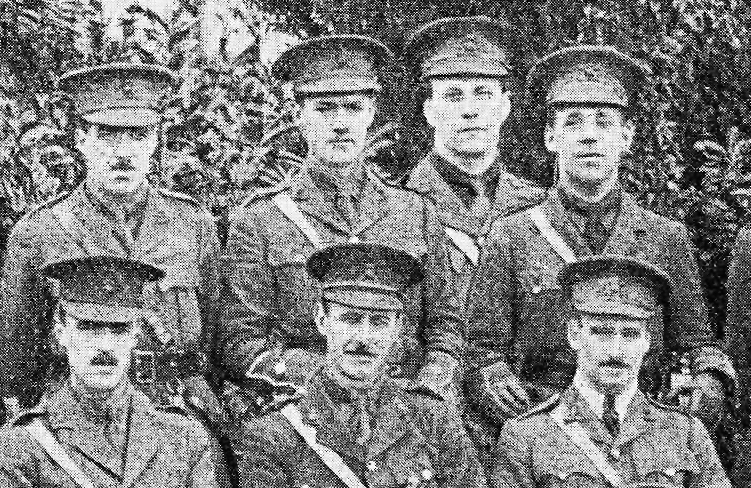 By September 1915 and “the Council of Lichfield”, all four were in the armed forces (Wiseman in the Navy), and Smith and Gilson were awaiting imminent embarkation orders for the front. It does not seem that the four managed to meet together in between, or at any other point during the war.